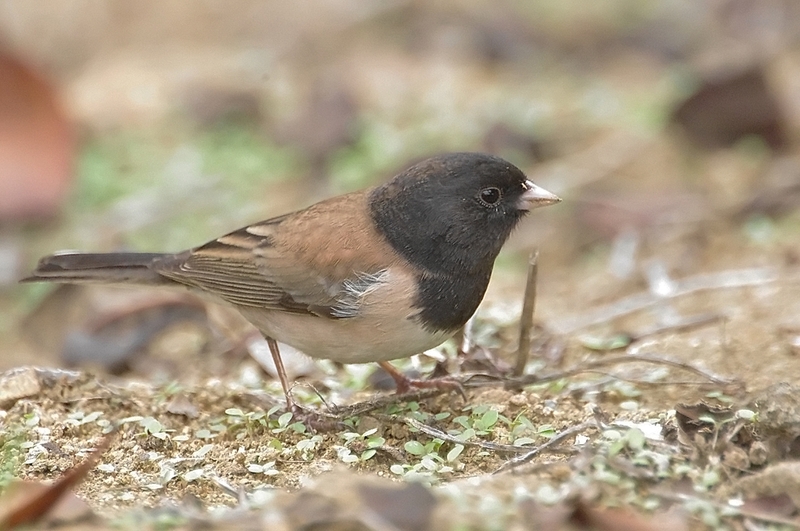 Dark-eyed Juncos are neat, even flashy little sparrows that flit about forest floors of the western mountains and Canada, then flood the rest of North America for winter. 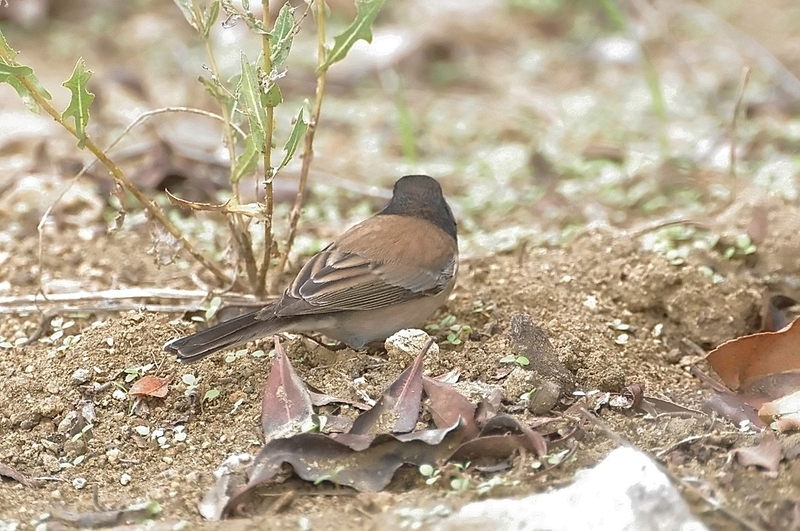 They're easy to recognize by their crisp (though extremely variable) markings and the bright white tail feathers they habitually flash in flight. 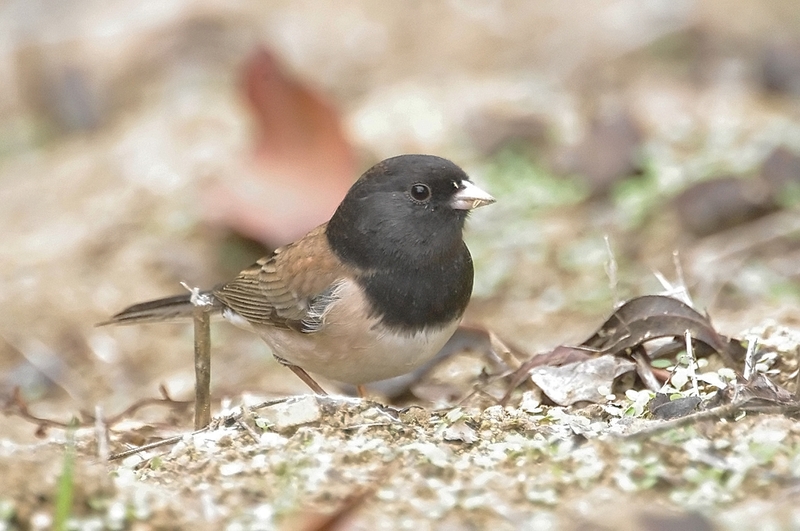 One of the most abundant forest birds of North America, you'll see juncos on woodland walks as well as in flocks at your feeders or on the ground beneath them. 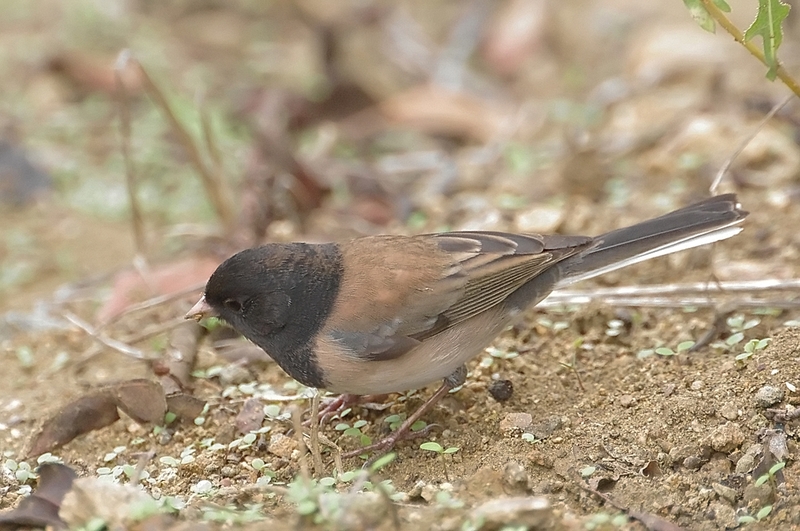 Juncos are the "snowbirds" of the middle latitudes. 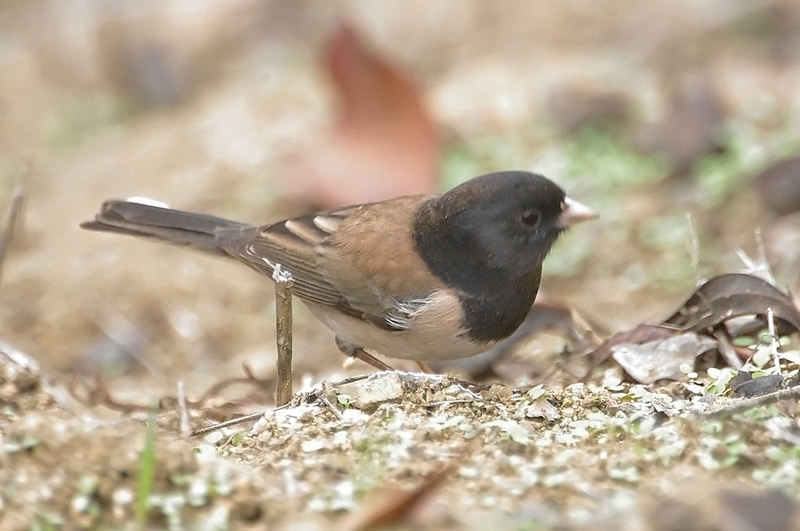 Over most of the eastern United States, they appear as winter sets in and then retreat northward each spring. 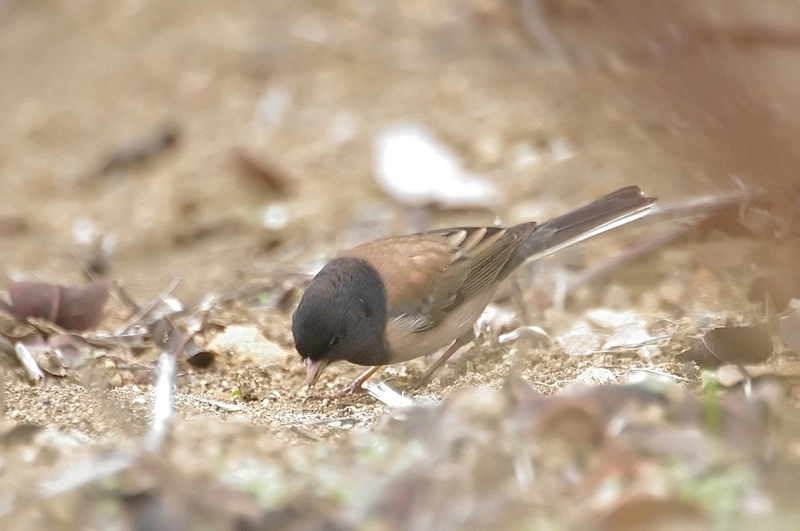 Some juncos in the Appalachian Mountains remain there all year round, breeding at the higher elevations. 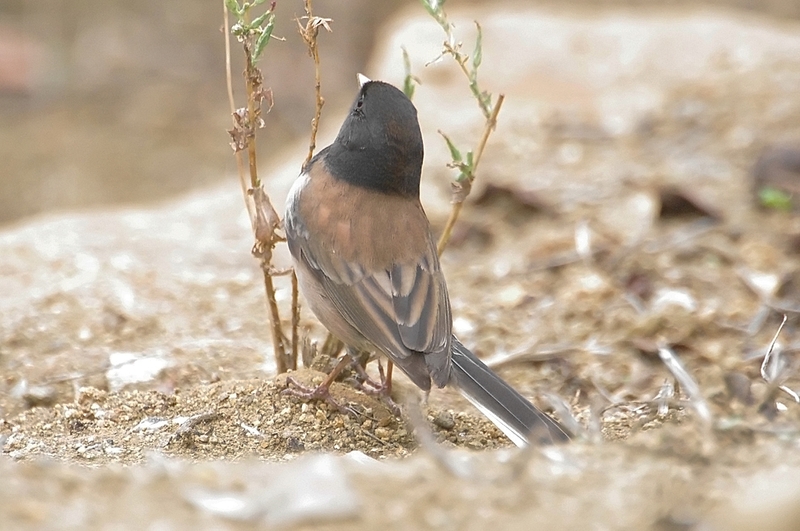 These residents have shorter wings than the migrants that join them each winter. Longer wings are better suited to flying long distances, a pattern commonly noted among other studies of migratory vs. resident species. 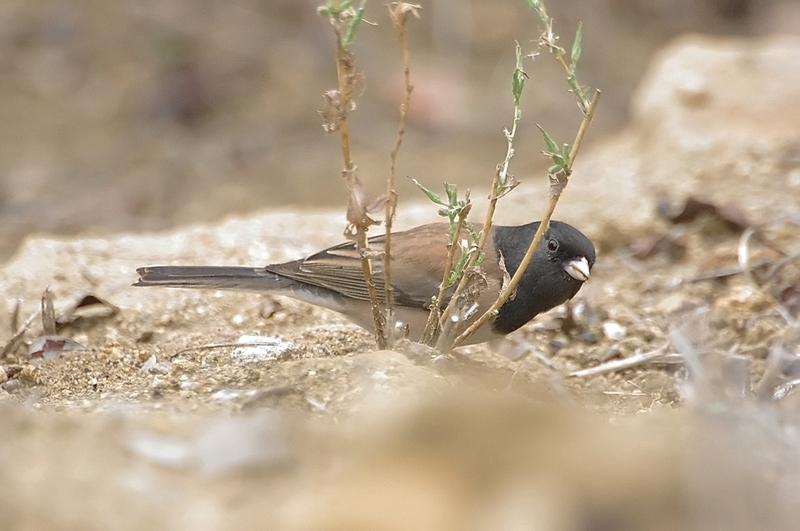 The Dark-eyed Junco is one of the most common birds in North America and can be found across the continent, from Alaska to Mexico, from California to New York. 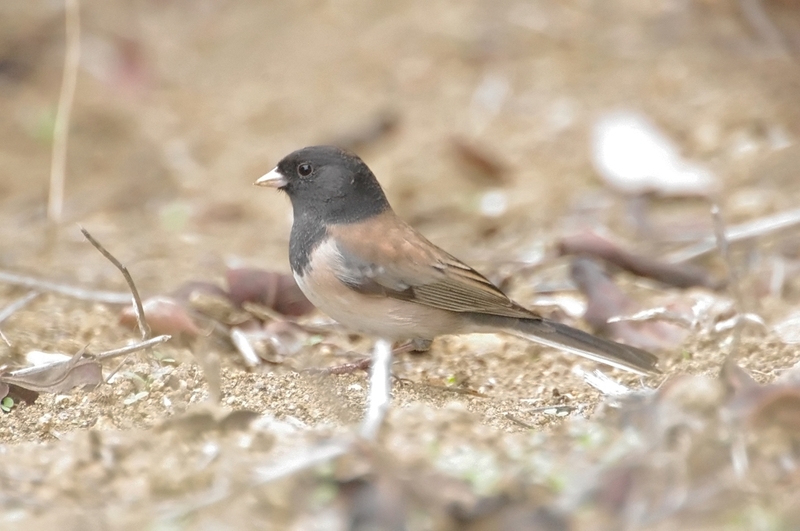 A recent estimate set the junco's total population at approximately 630 million individuals. 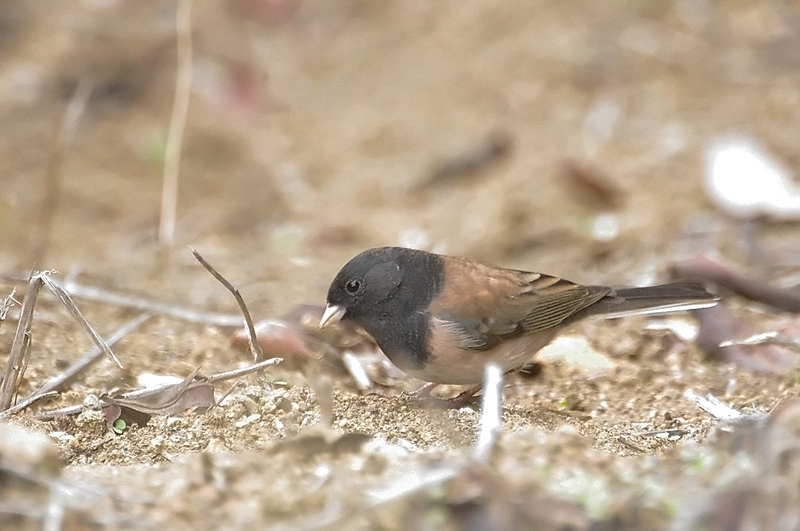 The oldest recorded Dark-eyed Junco was 11 years 4 months old. 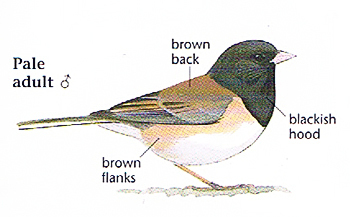 The Dark-eyed Junco is a medium-sized sparrow with a rounded head, a short, stout bill and a fairly long, conspicuous tail. 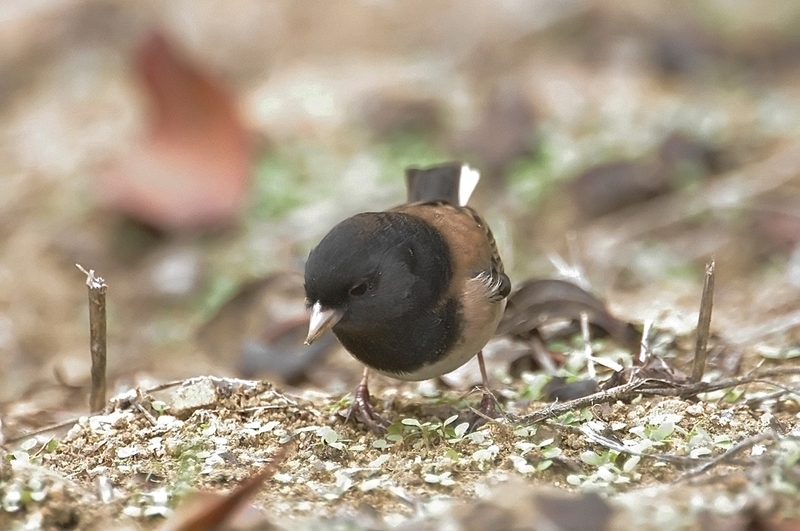 Juncos vary across the country (see Regional Differences), but in general they're dark gray or brown birds brightened up by a pink bill and white outer tail feathers that periodically flash open, particularly in flight. 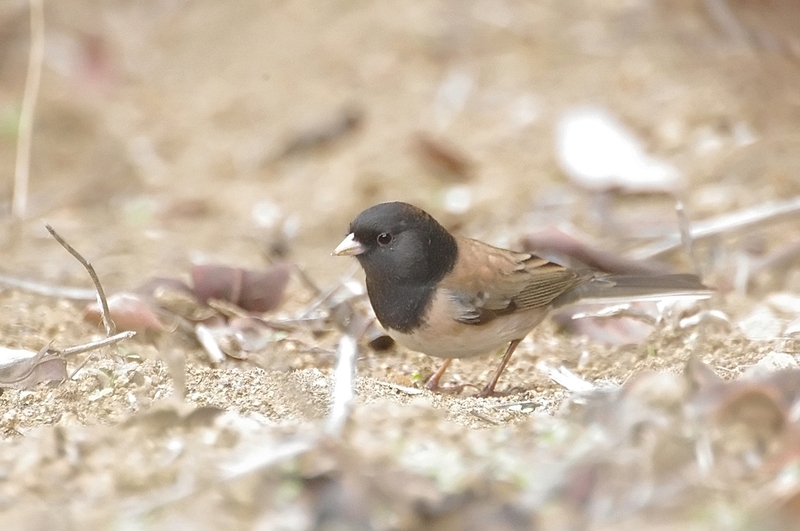 There is a huge range of geographic variation in the Dark-eyed Junco. 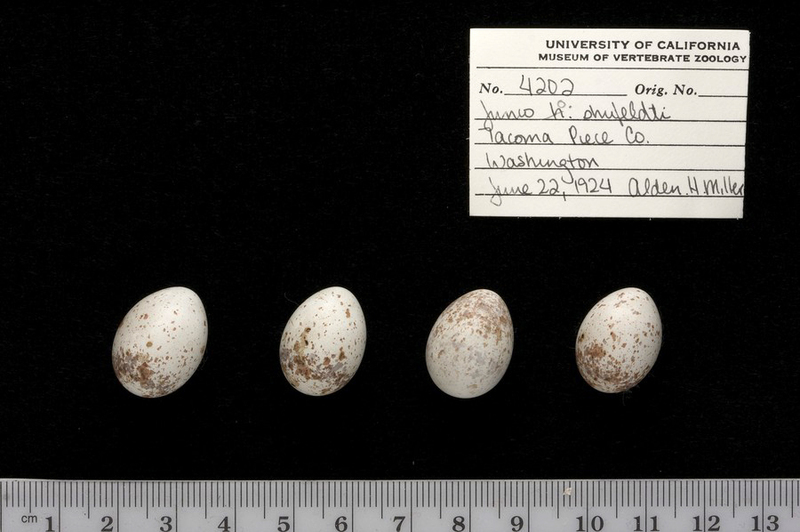 Among the 15 described races, six forms are easily recognizable in the field and five used to be considered separate species until the 1980s. 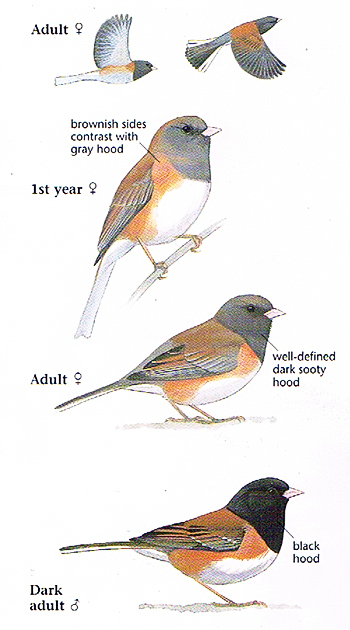 A field guide is the best place to look for complete illustration of ranges and plumages, but in general there are two widespread forms of the Dark-eyed Junco: "slate-colored" junco of the eastern United States and most of Canada, which is smooth gray above; and "Oregon" junco, found across much of the western U.S., with a dark hood, warm brown back and rufous flanks. 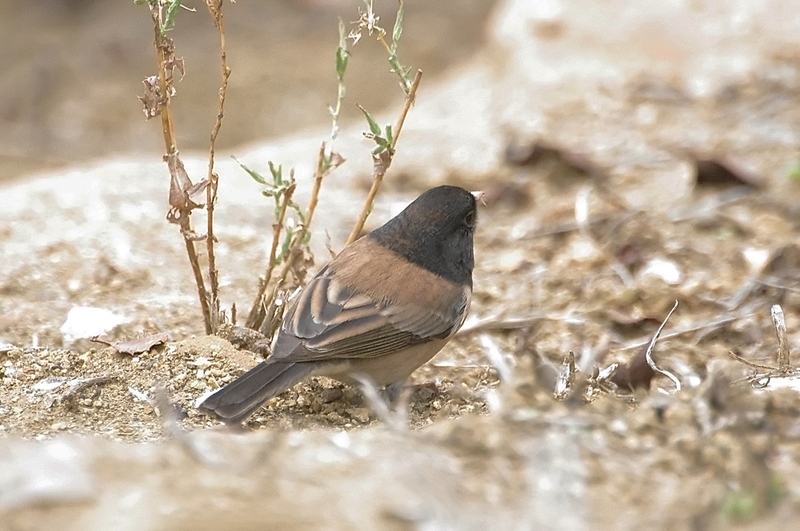 Other more restricted variations include the slate-colored-like "white-winged" and Oregon-like "pink-sided" juncos of the Rockies and western Great Plains; and the Yellow-eyed Junco-like "red-backed" and "gray-headed" juncos of the Southwest. 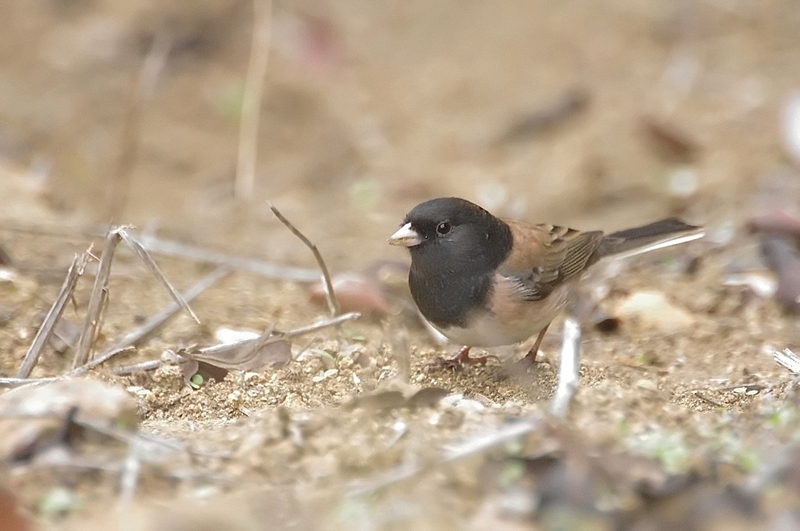 Dark-eyed Juncos breed in coniferous or mixed-coniferous forests across Canada, the western U.S., and in the Appalachians. During winter you'll find them in open woodlands, fields, parks, roadsides, and backyards. 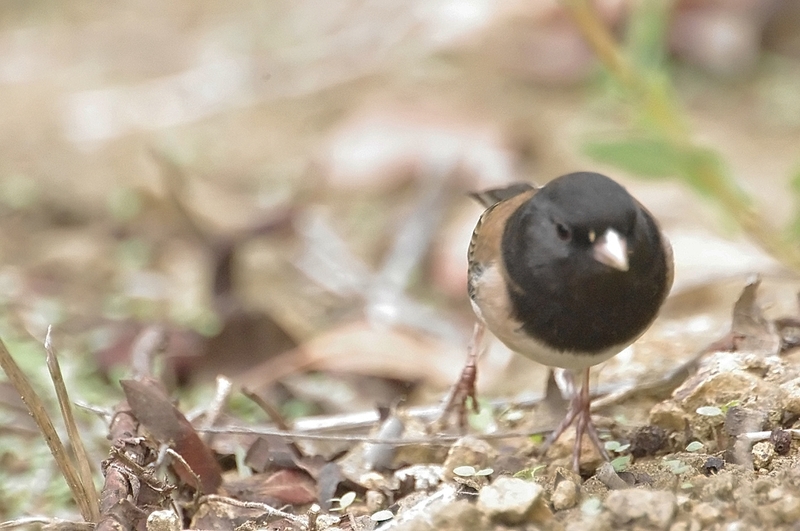 Dark-eyed Juncos are birds of the ground. They hop around the bases of trees and shrubs in forests or venture out onto lawns looking for fallen seeds. 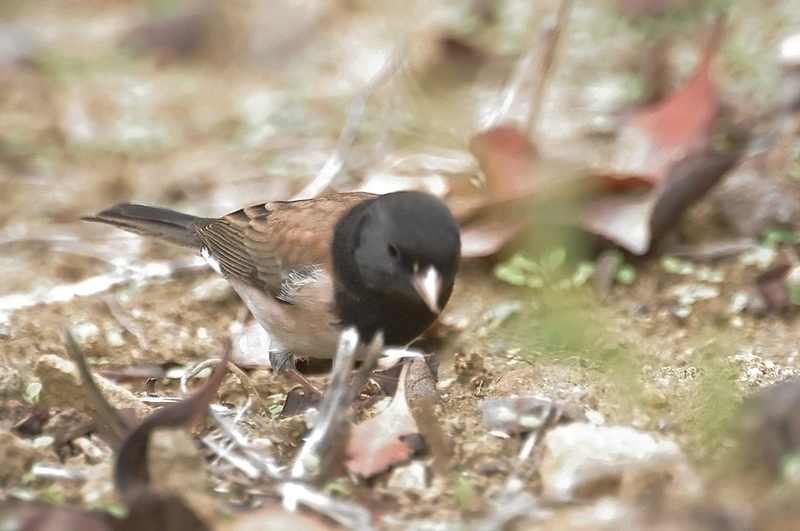 You'll often hear their high chip notes, given almost absent-mindedly while foraging, or intensifying as they take short, low flights through cover. 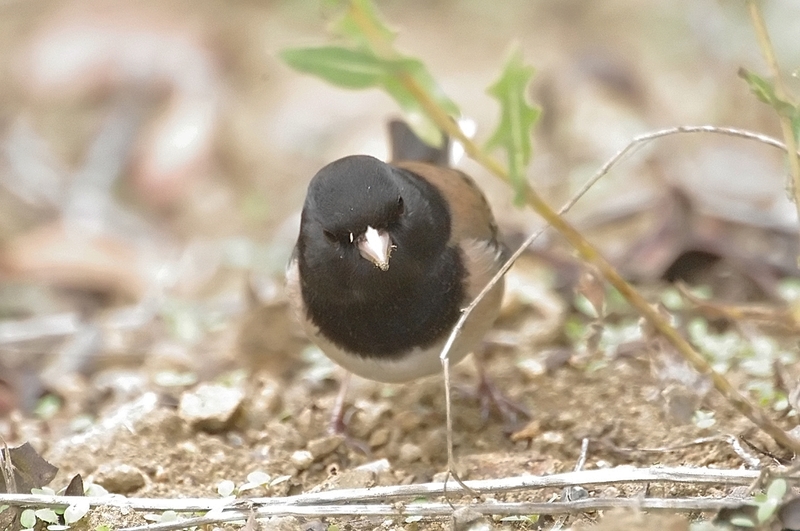 Dark-eyed Juncos are primarily seed-eaters, with seeds of chickweed, buckwheat, lamb's quarters, sorrel, and the like making up about 75% of their year-round diet. At feeders they seem to prefer millet over sunflower seeds. 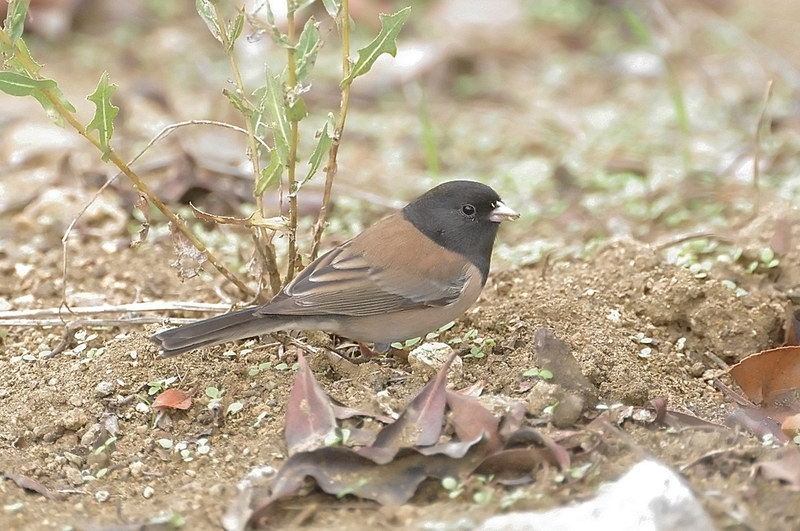 During the breeding season, Dark-eyed Juncos also eat insects including beetles, moths, butterflies, caterpillars, ants, wasps, and flies. Does not sing. Calls buzzy; also sharp chips. 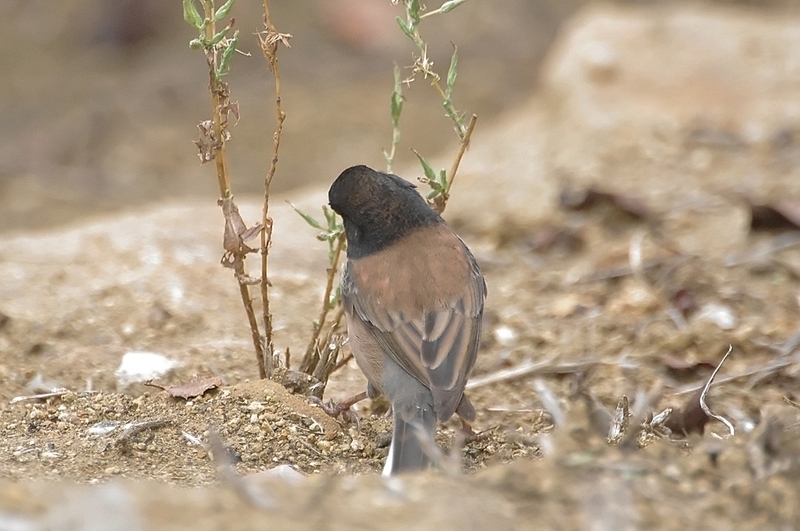 Wings of adult male make a high, buzzy trill.